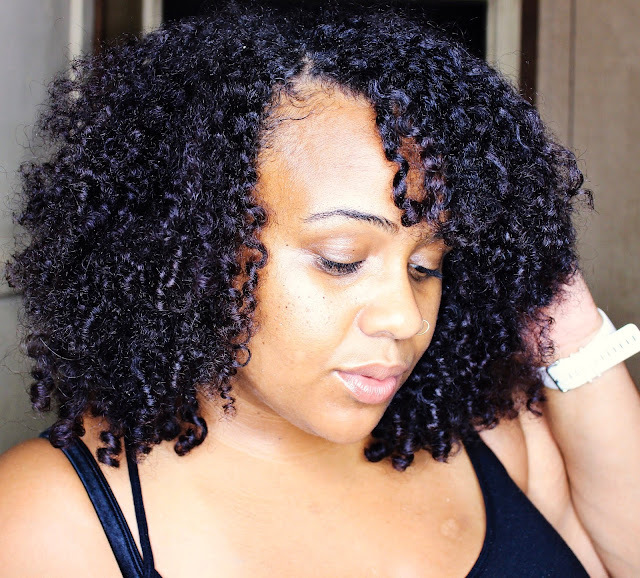 The Mane Objective: Struggling with Low Porosity Hair? You Might Just Have Hard Water. Struggling with Low Porosity Hair? You Might Just Have Hard Water. I ended up cutting some in the front! I just couldn't deal any longer. Over the past several months, my hair has been giving me nothing but trouble. Holy grail products were doin' a fool on my curls. NOTHING could seem to contain my frizz. I developed a random patch of damage in the front/center area of my hair, and some of my crown. I did what any natural with common sense would do - clarify, switch products, lay off the protein, ramp up the protein, pray, buy expensive treatments (cough, cough, Olaplex), try juices and berries and bentonite - NOTHING worked. At least for the long term. I found myself catching serious hair envy over all the perfectly spiraled curls and flawless definition on Instagram. 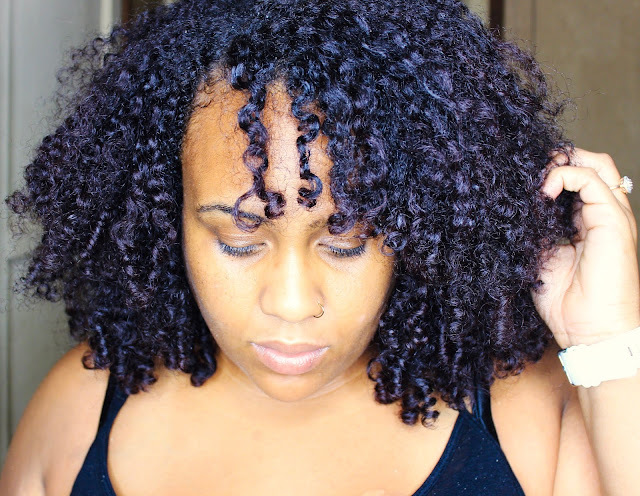 I even considered coloring my hair just to soften my stubborn curls-turnt-frizz sections. I was desperate - the hair I spent so many years growing and getting to know was an unfamiliar shell of its former self. Only very recently did a light bulb click. I had a brief but impactful conversation with Sharita aka @theloftmedford via Instagram DM. I walked away from that exchange realizing that I was worried about the wrong things. I was so focused on trying to find what gel, deep conditioner, leave-in, or miracle serum gave her flawless results on her clients that I overlooked the foundation of a great style - clean hair. Sharita mentioned a professional clarifying treatment that she swears by. I researched it, found rave reviews, and of course, stumbled upon a Sally's version that happened to be much more affordable. I was in - but it's not like I had very many options left anyway. And almost immediately I discovered the culprit of my several month struggle - HARD @$$ WATER. So if you've got ridiculous, borderline unmanageable frizz, hair that disrespects your hydration efforts, and damage after trying everything under the sun to fix it - this blog post is for you. And you my friend, just might have hard @$$ water. A couple of important things here. One, hard water = high amount of dissolved minerals. Two, hard water + soap = film/soap scum. Three, more soap is needed to get things clean. How does Hard Water Impact Hair? In short, hard water minerals behave just like your favorite conditioner. They bond to the strands, and even find their way underneath surface layers. Hard water minerals can make hair feel stiff, inflexible, dull, and brittle. If your hair is low porosity (which my front half 137% is), hard water can even cause your favorite conditioners and oils to be ineffective. Hard water buildup tends to make hair feel dry, stiff, rough, tangly, and not as soft - on top of being dull and frizzy. And if you've been having issues breaking past a growth plateau, hard water could be the culprit. Thanks to rigid, brittle strands, hair with hard water buildup is more susceptible to breakage and damage - leading to length retention issues. I've also personally found that my home hard water situation combined with my bootleg attempts to fix it have rendered my low porosity sections damaged. SIGH. Oddly enough, all of the hair under my top layers that aren't low porosity, are just fine and chugging along. But my top layers have the triple-whammy of exposure to the atmosphere (wind + sun + elements), low porosity drama, and the highest likelihood of being manipulated to fall in line with the rest of my hair. All of this left my po' lil' strands wiiiiide open for the hard water attack. But with the products and regimen below, we've been getting back on track. More frizz than normal. Seeing more damage in certain areas. Hard water did a number on me. Unfortunately, you can't pray, bentonite, chebe, hot oil, or overnight condition the buildup away. Juices, berries, and positive vibes won't get the minerals out of your strands. If you want your hair to even vaguely pretend like its normal again, you're gonna have to lean on science. Your best bet is to grab hold of a product (or products) that contain these ingredients, and specify that they are a chelating, hard water removal, or clarifying treatment. My picks in this category are from Sally Beauty's Ion at Home brand: their Purify Hard Water Shampoo, Conditioner, and Crystal Clarifying Treatment. Please note that these products are NOT protein free, curly girl friendly, or any of that jazz - because they've been engineered for a specific purpose. The trio that's bringing my hair back to normal. I've been quietly adding these Ion products into my rotation for about about 2 months, and I'm seeing a huge difference in how my hair behaves. While I'm not the biggest fan of the Purify Hard Water Shampoo (it honestly just functions like a regular degular shampoo), I use it just to keep the benefits going. I get far more mileage out of the Purify Hard Water Conditioner - it has slip, works well, and of course, contributes to preventing hard water buildup. But my absolute, most favoritest in the world? Hands down the Color Solutions Crystal Clarifying Treatment. It's the closest to the salon-grade product Sherita mentioned earlier. 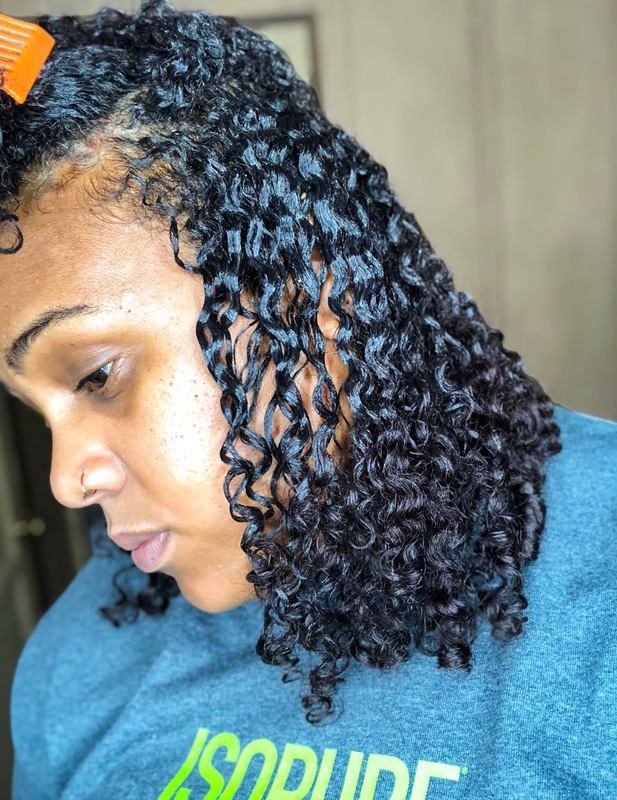 It comes in a tiny, unassuming packet - but when mixed with warm water, it turns into an ultra-slippery gel that detangles, clarifies, and works miracles. My hair is virtually frizz-free when the Crystal Clarifying Treatment is applied, and remains that way after rinsing. Oh, and it makes my hair SOFT. Like, the hair I had been missing soft. Like new towel draped around my shoulders soft. Although some of the frizz returns and a lil' softness goes away after the shampoo, I find that my hair is much more manageable in general after using the trio (and the softness returns). I use them about ever 3 weeks together, until I can find a water filtration system I like for my shower. I've noticed that since incorporating products specifically for hard water into my regimen, my hair feels better, is more defined, and substantially less disrespectful. Even several days later, the definition is holding on! The photo above is about 3 weeks into my new regimen, after I had already decided to snip those annoying fronts. You can see in the area near my hand, that there's still a ways to go - but I'm on the road to recovery for sure. Because ridding myself of this damage is my #1 priority, you probably won't see much product junkie variation from me in the way of shampoos and conditioners. I've got to stay the course and ride this thing on out. But I WILL be incorporating new leave-ins, sealants, and stylers - so be on the look out for those reviews! I’ve been dealing with extreme frizz. I talked to my coworker about that earlier because I found a ton of chlorine in my water while getting my floors done and they actually cleaned my pipes but they told me i had so much my water was turning brown because it was making the pipes rot. I changed it out but seem like I’ve been having more frizz than normal. Do you think I need a filtering system? Love your blog! Have you tried using bottled water (Distilled or Spring) as your final rinse. I always have distilled water on hand because I do not like the hard water rings left on my glass tea pots and on occasion when facial skin misbehaves, I cleanse my face with distilled water and my regular products. You share the immense message for the all inclusive community and people should aware of their security and https://legitimate-writing-services.blogspot.com/2017/12/essayswritingorg-review.html website share well instruction. I know stacks of the affiliations are working in this field and try to pass on the considerable information about the prosperity of the all inclusive community. This is the immense information.